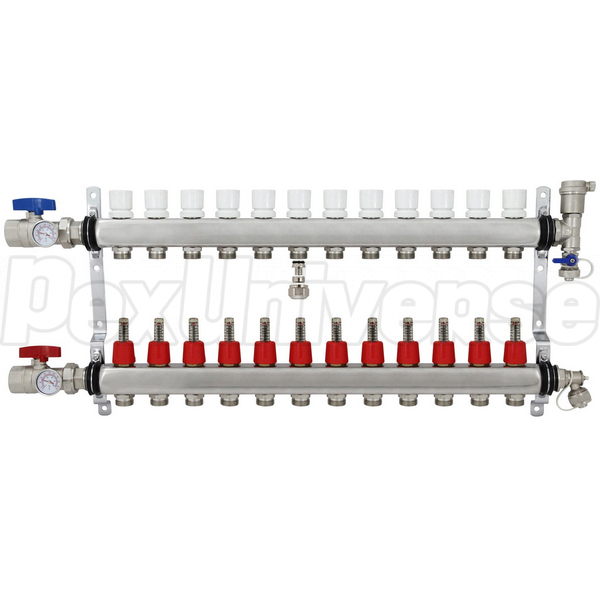 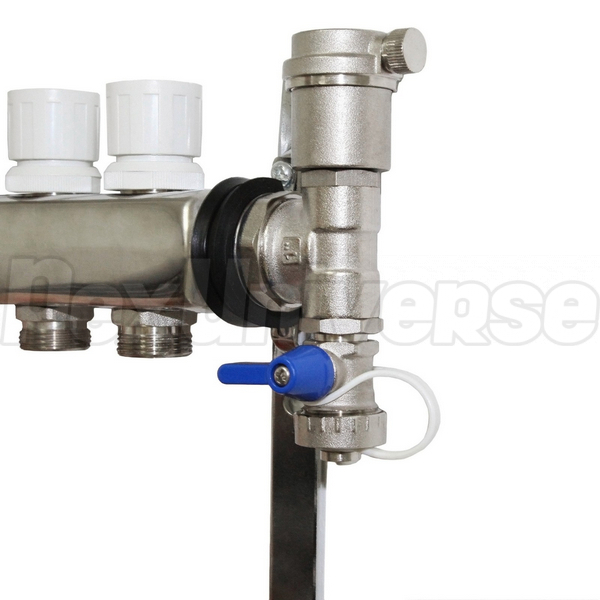 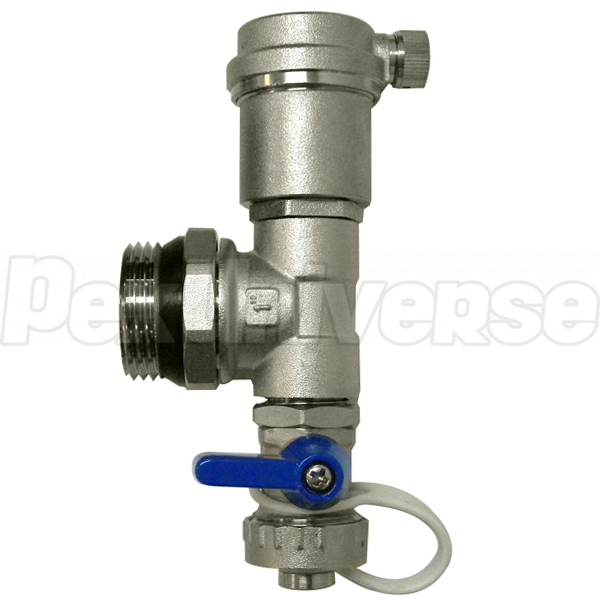 12-branch, Premium Radiant Heat Manifold Set with 1/2" PEX adapters (Supply and Return pair). 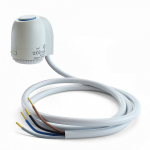 SSM112 set is typical for radiant floor heating applications in areas with a total of 2250 - 2500 sq. 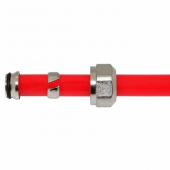 ft of space, when used together with 1/2" PEX tubing (installed 9 - 12" on centers). 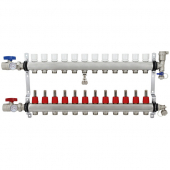 (1) Supply side radiant heat manifold with (12) flow meters and (12) PEX tubing outlets - lower manifold w/ red shut-off valve. 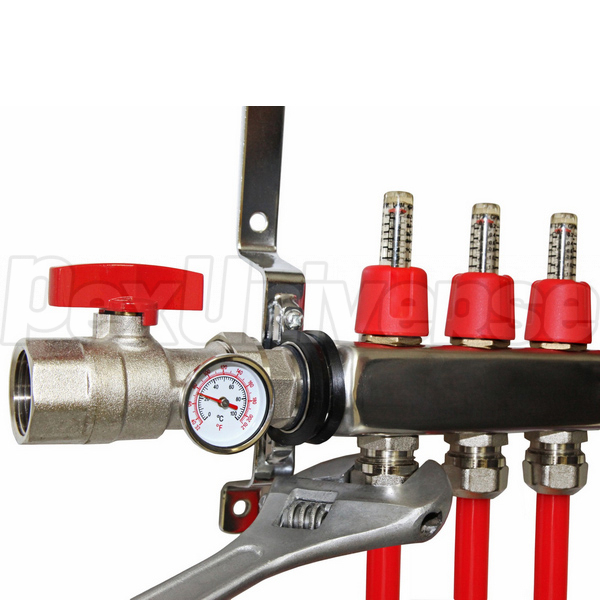 (1) Return side radiant heat manifold with (12) manual balancing valves and (12) PEX tubing outlets - upper manifold w/ blue shut-off valve. 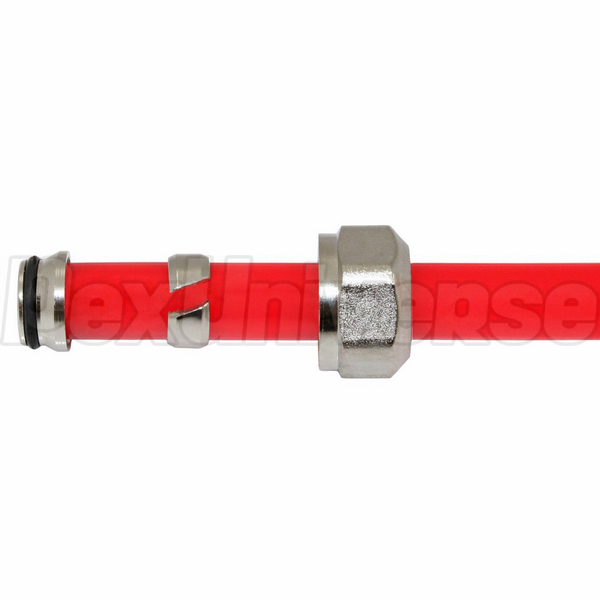 (24) Compression-style adapters for 1/2" PEX tubing. 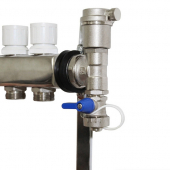 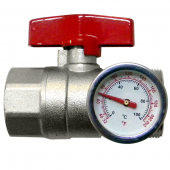 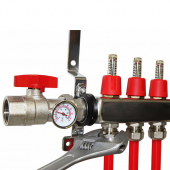 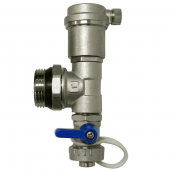 To pressure test the radiant heat manifolds, use a Pressure Testing Kit (SKU# TESTKIT). 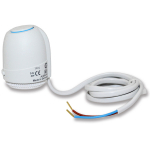 Distance ON (On Center) between outlets: 2"
Overall width when installed (with shut-off valves): 30.75"